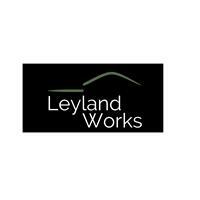 Leyland Works Ltd - Builder, Landscaper based in Slough, Berkshire. Leyland Works Ltd offers a one stop shop for all your design and build projects specialising in construction, development and interior design. As a family run business we also have access to an extensive portfolio of local tradesmen enabling us to efficiently engage contractors relevant to your bespoke project as and when required. We will discuss your requirements to tailor our services to your specification from building extensions to advice on space planning and colour schemes, so call us today for more details and examples and testimonials from satisfied customers.